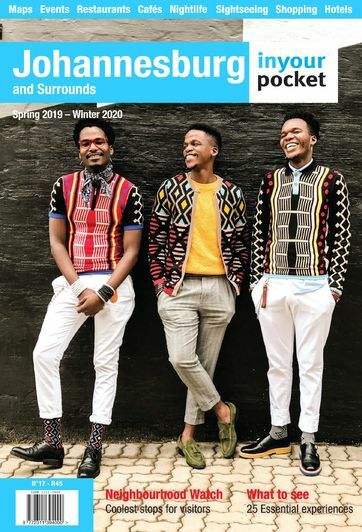 Inspired by the landscape and architecture of the suburb of Brixton, which sits atop one of Joburg's many rocky hills, as well as by the indigenous flora found in Brixton's Kingston Frost Park, the cafe is flooded with light and potted aloes abound. 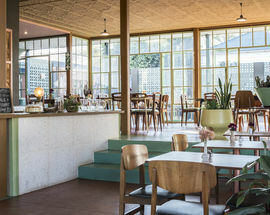 Elements of local architecture, such as breeze blocks and pressed steel ceilings, have been re-purposed and given a fresh lease with a new coat of paint while other items have found new functions, such as the Oregon pine wood floor that du Preez restored to use as wooden wall tiles. 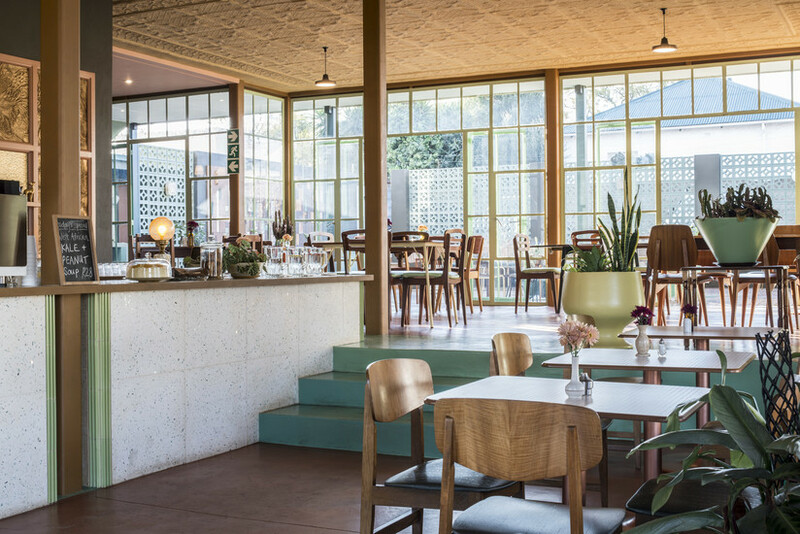 The overall impression is of a warm and inviting space that has become a meeting spot for Brixton denizens. 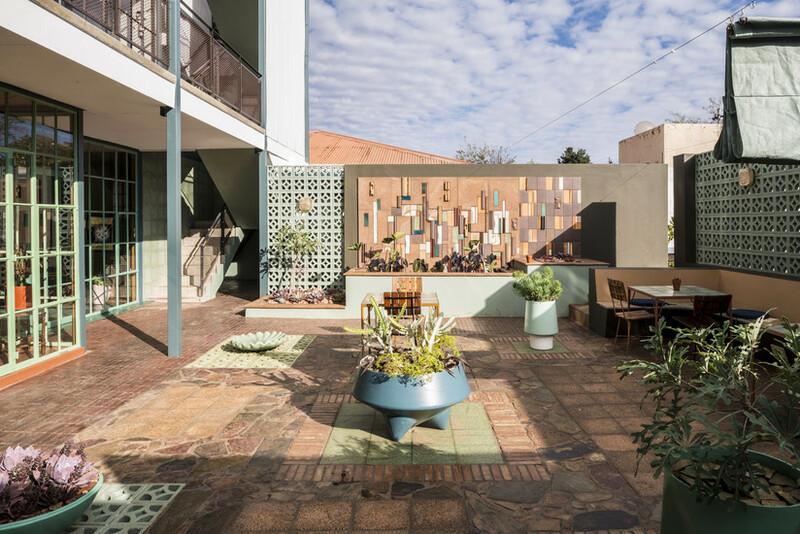 It's the kind of friendly, easy-going neighbourhood hangout that you would expect to find in a much smaller town than Joburg. 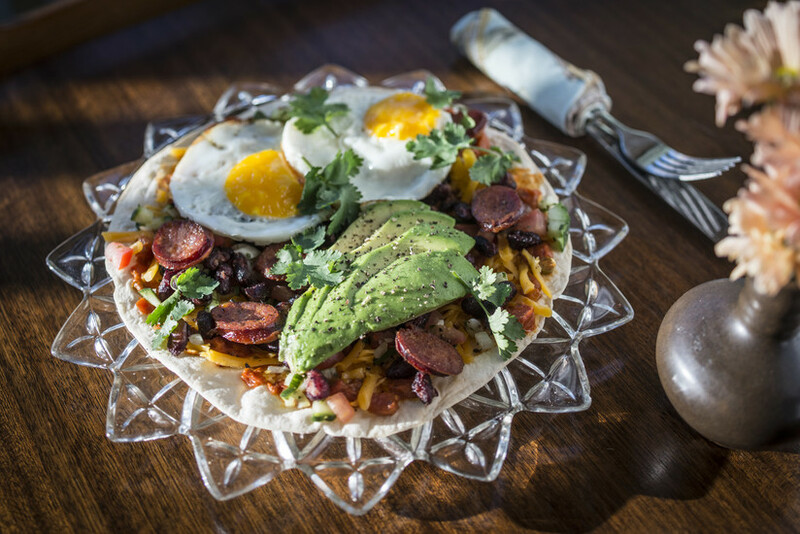 The menu offers up unpretentious home-style meals that reflect Du Preez's and his partner's love of travel and comfort food. 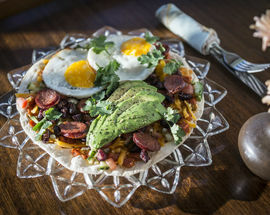 For breakfast tuck into the Tummy Warmer: creamy oats with spiced cinnamon and apple, or try the huevos rancheros – a breakfast dish of corn tortillas topped with eggs and salsa traditionally eaten in rural Mexico. Other breakfast favourites include classic scrambled eggs on toast and the eggs mirza,a dish of eggs, aubergine and tomato styled after the Persian dish mirza ghassemi. For lunch there are hearty salads or the fun take on the traditional salad Niçoise, reconfigured as a pasta dish. Breezeblock also excels at baked goods. The bread is freshly made at the café every day along with an evolving selection of cakes and baked sweets such as home-made spekulaas (Dutch spiced shortbread biscuits) and baked butternut dumplings served with hot butterscotch sauce. 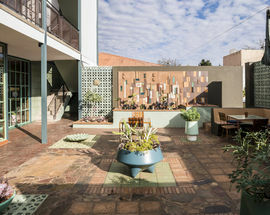 Above the restaurant is the office of du Preez’s business partner and architect Thomas Chapman, founder of sustainable urban transformation and preservation firm Local Studio, who are known for their work on new landmark spaces in the city such as The Hill Café in Constitution Hill and the Sophiatown The Mix heritage centre. Open 07:00–17:00, Fri 07:00-22:00, Sat, Sun 08:00–17:00. Closed Mon.